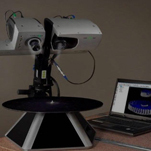 Employing the latest industrial Computed Tomography (CT) scanning engineering technology allows 3D Engineering Solutions to capture what has never before been available to industry – the precise dimensions of internal and external structures captured in a non-destructive fashion. 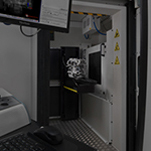 CT scanning can be used to capture obscured external features which line-of-sight data collection methods such as laser scanning and structured light systems cannot capture. 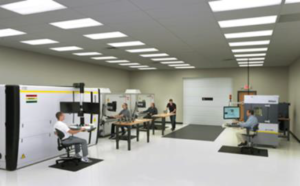 CT scanning is the leading edge technology for touchless data collection technology. Instead of capturing a point cloud like visual scanning technologies, multiple X-ray images are taken and combined to form a voxel data set. A is a volumetric pixel or volume element, and because it effectively uses density (x-ray attenuation) to distinguish parts, full assemblies can be scanned without disassembly! So you can capture data on internal stressed components in their assembled state. Solids, liquids and gases can be distinguished from each other as well. 3D Engineering Solutions features Nikon’s XTH 450kV micro-focus CT with patented technology that allows the smallest spot size available in this size of machine. Highest accuracy with power enough for larger/denser parts including difficult Aerospace materials. 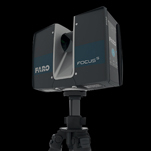 Also featured is the Nikon 225kV micro-focus metrology grade CT with established MPE values per VDI 2630 guaranteeing accuracies for critically toleranced components. 3D Engineering Solutions is a corporate partner with the American Society for Nondestructive Testing.